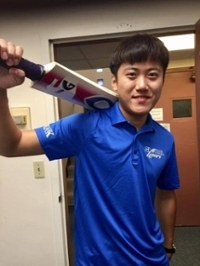 The role of a Global Loper (mentor) is to help new international students connect with our campus, culture, and one another. You could play an invaluable role in aiding in their transition (while gaining skills and experiences that will help you with your future plans), and have a lot of fun in the process. If you are a current UNK student and would like to become a mentor to a new international student, please read the below Program Description and complete the Application on the second tab. You will need to have at least one reference accompanying your application. Please download the Mentor Program Description and Reference Form. This form should be returned to Otto Olsen 205 by the November 20th application deadline. 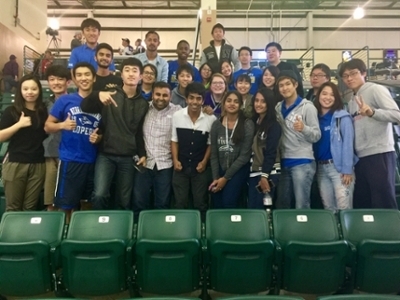 The Global Loper program, under the direction of the International Student Services Office, is designed to become an integral part of welcoming first year international students to the University of Nebraska Kearney campus. The main objective of the program is to assist new students in adapting to a new environment and a different academic system. 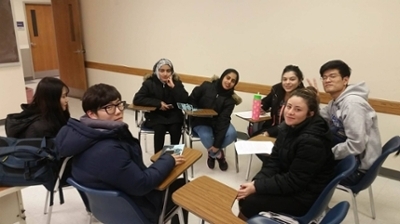 The program is intended to bring current and new international students closer together in order to increase cross-cultural experiences with each group. Once selected, Global Lopers will go through training where they will learn about diversity, ethics, and active listening. After training, Global Lopers will be the direct contact person for a small group of new international students. Global Lopers will be assigned their students prior to New International Student Orientation. They will then have a schedule of meetings and activities throughout the semester that focuses on cultural adjustment, immigration information, and campus activities. Global Lopers will become intercultural leaders who support new international students with their knowledge and expertise. They will be essential to the process of welcoming new students and helping them acculturate to their new environment. Attend November training sessions (dates to be announced). Participate in campus activities with mentors during the Spring 2019 semester. Available to be on campus starting on January 2, 2019 to meet new students during New International Student Orientation. One reference is required in order to be eligible for the position. The reference form is available HERE. This reference must be submitted to Tracy Falconer, International Student Services, Otto Olsen 205C by November 20th for consideration. Inviting Family, Friends to Visit U.S.